I bought this book when I saw a conservative blog I read (I forget which, but I hope it’s not the hoity-toity Ace of Spades HQ Sunday Morning Book Thread since OregonMuse posts my books) mention it and say that it was anti-Trump or something. To be honest, it’s not particularly anti-Trump: It does not mention him by name, which is refreshing in a book you’ve been told is a sucker punch hit job. 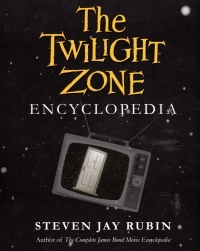 It does say that The Twilight Zone told uncomfortable truths/stories (which is kind of like the Resistance, amiwrong? ), but you see that sort of thing in a lot of books touting shows, both current and historical. A couple of entries have phrases of dubious provenance but that are clearly meant to refer to These Dark Times, such as mentioning jackboots returning in the 21st century and whatnot. But overall, not something that Michael Moore or–what’s that guy that was a “comedian” and then “Senator” from the state that elected that wrestler who wore feathers as governor?–would have written. But I got it because I remember a little of the show and thought it might be interesting. I’ll be honest; at the outset of reading this book, I could only remember one episode of the show (“A Stop At Willoughby”, which I saw sometime in adulthood, I think). As I read it, I also remember seeing “The Shelter” at some point in my youth, probably in the 1980s when another Republican was in office, and the fear of nuclear war led to great art like The Day After and Testament (not the band) as well as a whole genre of post-apocalyptic movies. But this book is a bit of nostalgia trip in taking me back to my youth, when this program was syndicated and available for watching (although apparently I didn’t watch or remember too much) along with a lot of other old black and white programs. The book itself is entries for individual actors, actresses, producers, directors, musical composers, and other people associated with the series along with the individual episodes, themes, lots, and other markers from the series. So when running through the actors who played in this program, it listed other things they appeared in, including series like Combat!, Black Sheep Squadron, and other things that hit syndication while I was coming of television watching age and beyond. Notable actors who played in epidodes of The Twilight Zone include William Shatner, Jack Klugman, Jack Warden, and others that I know mostly from other works. Still, it was a varied bunch, and their connections to old television shows that I sort of remember remind me of a time. You know. Secondly, the list of programs that I don’t recognize humbles me a bit. I mean, many of the anthology series (Playhouse this and sponsor Theatre that) were done live, so recordings do not exist. Other shows, like Peter Gunn and so on, I recognize the names but don’t think I’ve seen. I didn’t see them on television in the day, and I’m not sure they’re easy to find on television (or other media) today. There was a whole world of television that came on before I was self aware and that I’ve never seen. Likewise, the movie credits indicate a wide world of films, including war films and detective movies, that I’ve never heard of and have never seen. So the book rather inspired me to look for some of these things to view. And, of course, to watch the television program itself which I see is available on Blu-ray for less than $60 . So I might think about that, too. I’d say “I hope I can get some use out of this on trivia nights,” but trivia nights’ trivia tends to be more recent than this program these days. But I enjoyed the book. And I paid full price for it and don’t regret it, which says something. Today, as I was leaving the YMCA, I looked down and saw a toddler’s spoon lying in the parking lot. Then, I went to Sam’s Club, where I saw a plastic spoon lying in the parking lot as well. Clearly, these are signs that I will binge watch Sonny Spoon sometime soon. I must have been the only one who liked this show when it aired, since it lasted only fifteen episodes. But it’s the character I associate with Mario Van Peebles, not Kane from The Highlander III. For reasons that have yet to be fully explained, the producers of the “Jeopardy!” game show last week banned Canadian contestants. As someone who spent two years as a resident of Canada and one year working on the radio with the late Art Fleming, the first and greatest host of “Jeopardy!” I feel uniquely qualified to over-analyze this. Apparently, the reason for the ban on Canadians (except for Alex Trebek, the pride of Sudbury, Ontario, who usurped Art Fleming’s throne and whose name Art could barely bring himself to utter) has something to do with Canada’s new digital privacy laws. The producers fear that the questionnaire that would-be contestants have to fill out might somehow violate the new law, possibly costing the show a $10 million fine. Even with the Canadian dollar (unfortunately named the “loonie” for the bird that graces the coin) now worth 72.6 cents U.S., a $7,260,000 fine is nothing to sneeze at. Of course, this is part of fomenting the anti-Canadian sentiment we’ll want before the invasion. Canadians are not like you and me. They eat poutine. So I watched the 1984 film Romancing the Stone, and at the beginning, when John Colton meets Joan Wilder, she offers him $375 in traveler’s checks to take her to town. 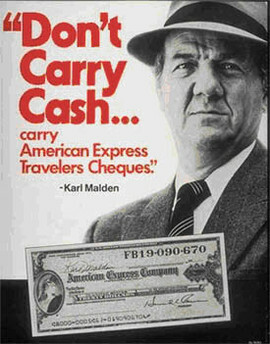 He asks if they’re American Express. 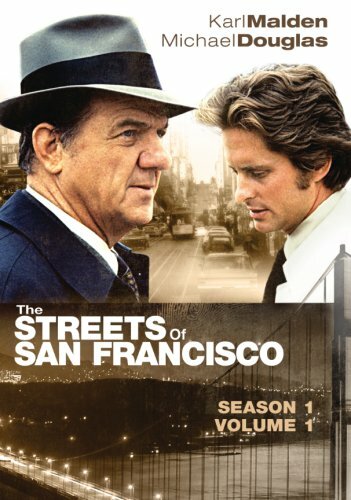 Because Michael Douglas, who played John Colton, was in Streets of San Francisco with Karl Malden, who later was the pitch man for American Express Traveller’s Cheques. Douglas and Malden remained good friends after the detective show ended, so this probably is an inside joke. Back in the latter part of the 1970s and the early part of the 1980s, I lived in a housing project myself, which explains why I identified more with J.J. and Dwayne from What’s Happening!! than any suburban-based sitcoms from the era. This book did not have Iron Man in it. I guess Robert Downey, Jr., wanted too much to do it. I guess not; this is the wrong The Avengers. This set is the 1960s British Secret Agents, mod 60s woman Emma Peel and staid John Steed. I’ve never seen the series, and I even missed the almost twenty year old film starring Uma Thurman and Ralph Fiennes, so I didn’t really know what to expect. It’s a slightly silly, disjointed book. A biotech company can raise the dead, and there’s a priest, and zombie American servicemen who can remember how to fly a stolen plane to the Pentagon. Or to New York. I don’t know what to make of the story, how it relates to the others in the series, or to the television program. The book has a lot of interior Steed attracted to Peel but unable to say, and I don’t know if this is something that showed up in the program or if it’s a bit of the author’s own invention, thinking that Steed would because what man is not hot for Diana Rigg in a cat suit? I’ve seen that sort of thing before in books, although I cannot recall in which television series or movie novelization book report I remarked on it. At any rate, of the two period television shows whose tie-in books I’ve read recently, the Kung Fu books (here and here) are better. But I’ve got a couple more from The Avengers; maybe they’ll grow on me since I’m not going into them cold. 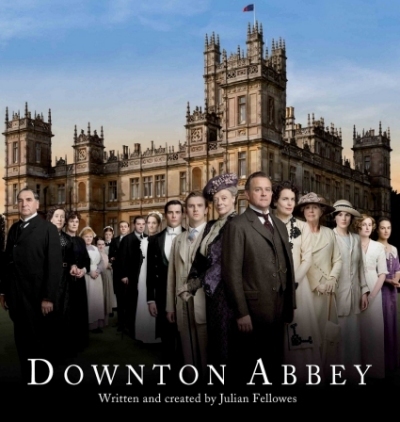 A couple years ago, I got swept up in the Downton Abbey mania, and by “got swept up in,” I mean my beautiful wife and I had gotten a Roku and were looking for something to watch on Amazon Prime when we agreed on this British program because so many other people were watching it and because my wife likes British accents. But I gave up on it after a couple of seasons for a couple of reasons which I’ll go into below the fold. Be advised, there are spoilers below. Sadly, although I’m years behind, I’m almost through with the series Almost Human. The series, if you’re not familiar with it, takes place a couple decades from now. Technology has advanced, and criminals have new means indistinguishable from magic for committing their crimes. A cop is injured in an ambush and loses a leg; it’s replaced with a prosthetic. Worse, he’s an old-school throwback kind of cop, and he doesn’t like being paired with an android. Instead of choosing the normal kind, he gets paired with the last of a line of androids programmed to have feelings–but all the others were decommissioned for going crazy. Together, they work on some crimes revolving around different science fiction technologies. Unfortunately, it lasted only a season. The show kind of fell in a middle spot between two audiences: young geeks who watch things like Lost, The X-Files, Sleepy Hollow, and the comic book shows might have liked it, but it was a bit episodic and cop-showish. The show had a couple of overarching mysteryesque story lines that extended for a couple of episodes with little hints–Did the cop’s girlfriend at the time of the ambush, who has since disappeared, have something to do with the gang that ambushed him? What are these strange memories from someone else implanted in the android’s memory banks? However, these mysteries seem to have gotten dropped in favor of completely detached episodes. And the audiences that drive cop shows for decades, who like episodic plots, (that is, older people) might not have enjoyed the science fiction element. So it didn’t get renewed. It definitely fell into my sweet spot, though. A throwback cop in the future, isolated from others around him. He’s sweet on a fellow officer, but she’s a Chrome–a genetically altered person who’s just discovering the camaraderie of her own kind as opposed to her fellow police like him. 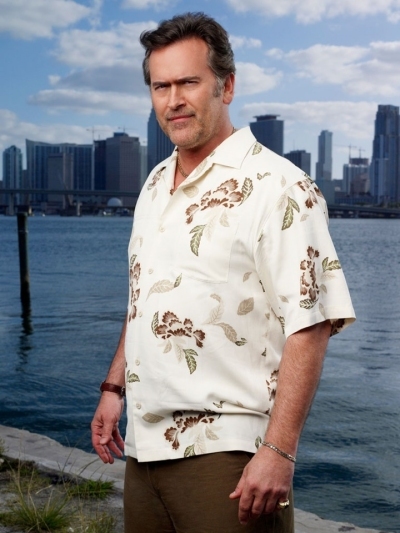 So the last episode ends with him alone out in the city, brooding. Suddenly, it reminded me a lot of the Tex Murphy games. For those of you who don’t know, the Tex Murphy games feature a throwback private investigator in San Francisco about the same time as Almost Human, but it’s a post-apocalyptic San Francisco with mutants and whatnot. But the premise is a bit noir and a bit tongue in cheek. 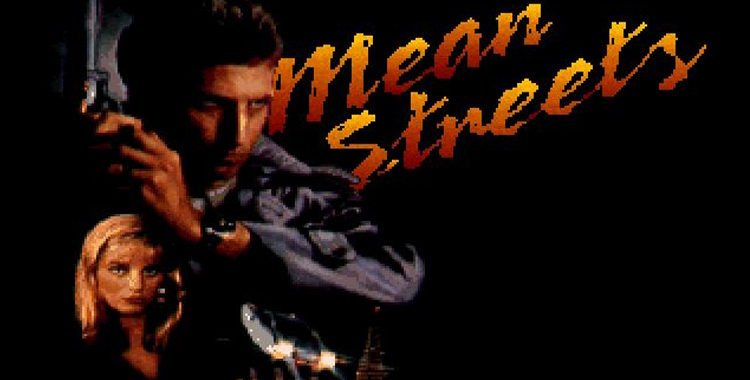 It started with Mean Streets in the early 1990s–I played it on my old 286. Remember when you referred to computers by the chip inside? The Olden Days. I liked the Mean Street so much that I wrote Access Software a letter (in the mail, child, in the mail!) and expressed hope for a sequel. Access sent me a very nice form letter about not accepting unsolicited ideas or resumes. So I sent them a resume from my twenty-year-old self. (I was not hired.) Eventually, though, Access did add other titles to the line, but I picked them up after my prime computer game playing days (that is, college). 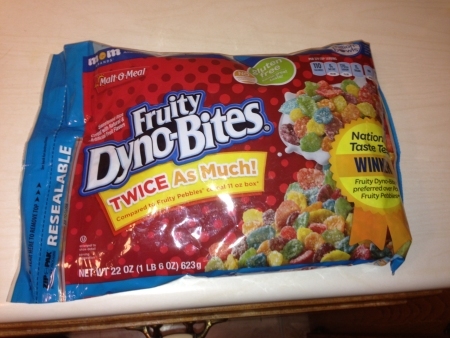 So I bought them, noodled with them, and sold them or gave them away. 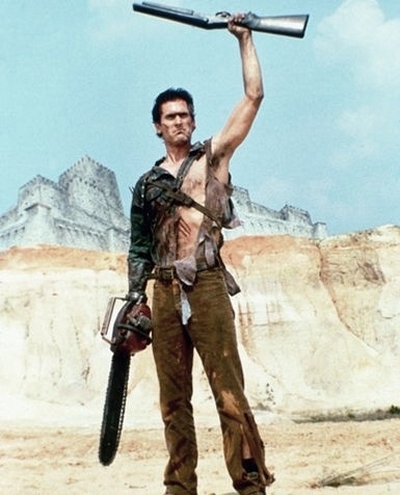 “I wonder if the Tex Murphy games are on Steam,” I said to my wife after the penultimate episode of Almost Human. So they are. The complete pack for $29.99. And there’s a new Tex Murphy title for Tesla Effect. So after I watch the final episode of Almost Human, I might be crazy enough to buy one or more of these games and give it a go. Which probably means I’ll do like I’ve done with every new game since Civ IV came out in 2005: Install it, run it once, make it through the introduction, and decide I don’t want to waste my time on video games when I have so many books to read. 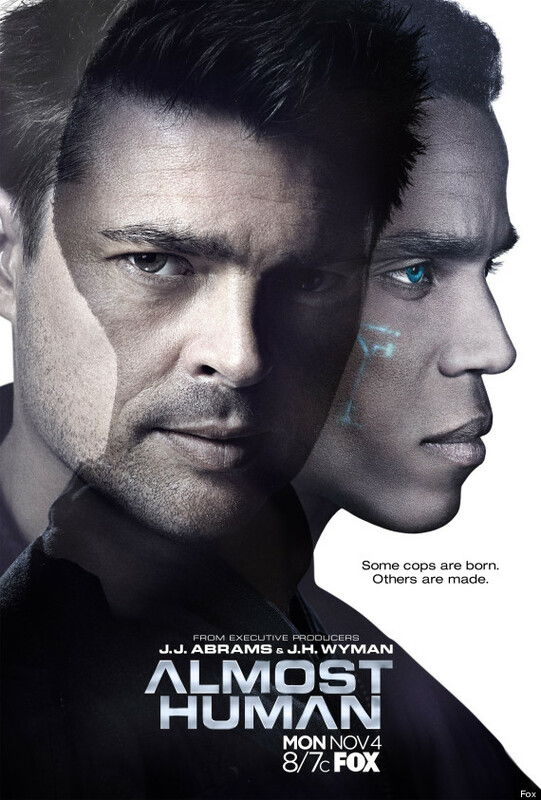 All this would have been far easier if there’d been a second season of Almost Human. So I’m prone to bouts of picking new geek-friendly shows on television and recording them for my later viewing. How later? Sometimes years later. 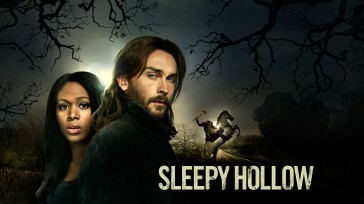 I’m only a year late on Sleepy Hollow. And I won’t be getting any further behind. Okay, it’s a story about a man who’s been under a spell for a couple hundred years; Ichabod Crane, instead of the slightly philandering bookish dandy from the story is a spy for George Washington and an action hero. He awakens to head off the apocalypse when the headless horseman and other horsemen from the book of Revelation are trying to get a foothold in our world. So it calls for a certain suspension of disbelief. It’s our world, but strange things are happening in it. I can suspend disbelief. But there are a number of things about the real world that the series gets wrong that sticks in my craw, and I can’t let them go. I can forgive that the deputy he partners with has the high rank of lieutenant just so he can call her leftenant. The commingling of the sheriff’s department and the village police force, though. They share office space, okay, that happens. But when the sheriff is killed in the pilot, all of a sudden, the sheriff’s deputies are getting ordered around by The Captain. Presumably of the village police. Which is a different police force, so he would not be able to give orders. And the sheriff’s dead, and no one gets appointed to act as sheriff and there’s no talk about who might stand for election for sheriff or if there’s a need for a special election. It’s not germane to the plots of the stories, but it’s how things are done. And there’s the last episode I started, “John Doe” (episode 5) where the lost colony of Roanoke is found hidden away but all infected with a medieval plague that slips into our world, and Crane shows signs of it while outside an isolation ward with the head of the CDC task force assigned to monitor or whatever the plague, and they dramatically haul Crane off for isolation, but not everyone else in the room who has been exposed to Crane while he was symptomatic. That bothered me because it’s not the way that should have been handled, and also because my confidence in our CDC these days is that they might actually handle it that way. 144,000 people is not a small town. It’s a small city. Probably with bike paths and sushi joints. A small town is 5,000 or less. Even the Census Bureau tries to convince us that towns of 10,000 or more are urban areas. But the writers of Sleepy Hollow want us to think a city is a small town. Where are those writers from? New York City? Mexico City? Shanghai? Sleepy Hollow lies 30 miles from New York City. Do you know what’s 30 miles from a real small town? Another small town. 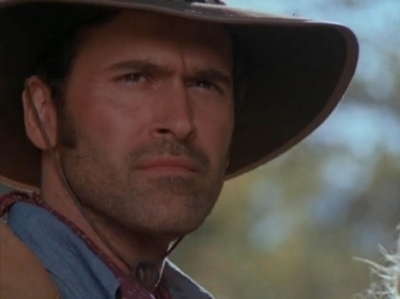 Bonus disgust every time the leftenant deputy sheriff is the one doing the exclaiming about the small town. 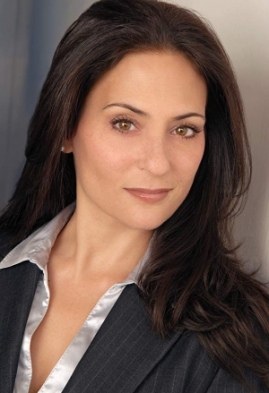 Because her jurisdiction is not the town, it’s Westchester County. The series provided so many groaners that I couldn’t get past them. Especially the small town thing. So I had to give it up. Why did I pick up this book? 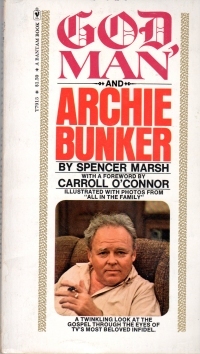 Because I’m old enough to remember who Archie Bunker was, and because I’ve taken to picking up slim mass market paperbacks to stick into my pockets when I might have a bit of time to read when I’m out and about and don’t want to spend it all on my smartphone. This book is a small polemic written by a Presbyterian minister right as the television show All in the Family was coming into the fore. The minister sets up little chapters where he explains some about Archie, and why he’s a bad Christian whose beliefs and bombasm are not in line with the Christianity he sometimes tries to espouse. That’s about it. Here’s a chapter on Archie and the Bible, Archie and the Ten Commandments, Archie and the Prodigal Son, “The Good Edith”, and pretty much in each he leaps off from some incident in the show into a mini-sermon. As an intersection between theology and pop-culture, it’s bound to be a little heavier on the latter, but it’s an unconvincing little book. Funny thing about Archie Bunker. 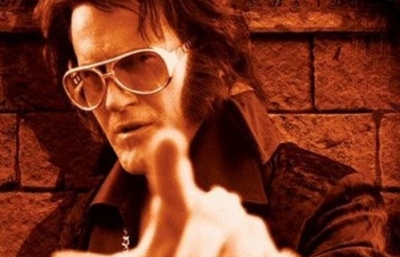 As I understand it, he was built to be the bad guy, but people related to him. He was a traditional, albeit crude and poorly spoken, member of the old generation that was out of touch with the modern, sixties person. But people related to his problems in understanding the changes going on in society and with those who would compel him to change. And somehow that gruff character carried a sitcom twelve seasons. Kind of like the modern day Ron Swanson of Parks and Recreation. Although this latter character was originally intended to be a foil for the star’s character, he was a man’s man Libertarian, and he’s the one from whom Internet memes are made. Because people even in the twenty-first century relate. And the sitcom writers and producers are shocked by what sells. Because they’re professionals or something. When I was looking for a paperback to read, I found this book on my shelves and thought, “Is that the William Johnston?” Which pretty much ensures I’m the only one to ask that question in the last 25 years, or maybe ever. 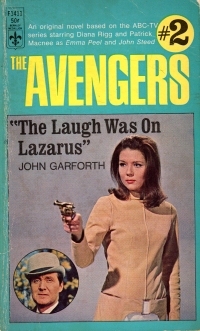 This is a 1971 novel based on the television show The Mod Squad, which was about a trio of young detectives in LA. They were young and hip. Mod. You dig it? At any rate, wow, that show had a bad syndication deal or something. I’ve never actually seen it. I don’t remember it replaying later in the 1970s when I was a kid with naught but a television to entertain myself. So I went into the book without anything but precursory knowledge of the program. Which is unlike the other too William Johnston television-show-turned-novels books I’ve read, and I think it comes out a little here. It’s probably the same problem you get when you drop into the middle of a series: the book knows the characters and assumes you know a bunch about the characters, too, so it doesn’t get too much into that. Instead, onto the adventure that is more complex than a half hour sitcom plot (in the case of the Happy Days and Welcome Back, Kotter books I read) or an hour-long cop drama. The plot: Someone kills a well-liked cop, Al Quick, who might have been dirty, and it might have something to do with a safe place for drug-addicted youth called simply Home (you see where the title comes from, do you?). 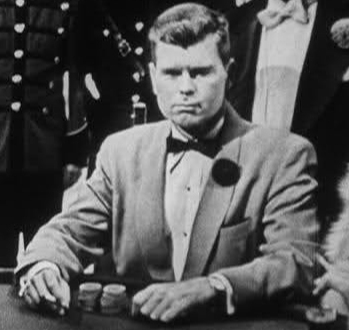 It also might have something to do with a gambler named Gino Paul (seriously). And the well-liked cop’s brother is an inspector who insists upon frequent briefings and seems very eager to close the case. It’s a pretty thin plot hung upon a number of discrete scenes, too many of which are the detectives chatting with each other and wondering how they could miss the obvious for a couple more minutes or pages. It’s a short read, and it is what it is. Apparently, a collector’s item based on the price from Amazon. You know, there are so many paperback writers from the 1960s and 1970s who plied the trade and put out a lot of books and made a living at it that are mostly forgotten today. I guess that’s William Johnston. The books touted at the end of the book include the early Executioner books, the first Death Merchant, the first Butcher, some science fiction by Don Pendleton (! ), and whatnot. Interesting stuff. Well, for me anyway. How long have I owned this book? 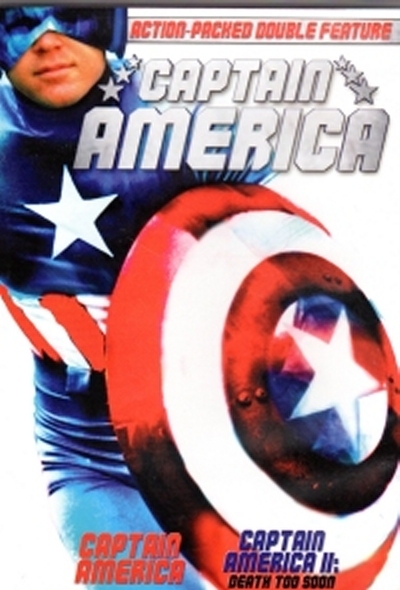 Here’s a photoshopped cover of it I did in July 2005. Oftentimes, I’ve picked it up when looking for something quick to read between weightier things, but Robert Hegyes, who played Esposito in Welcome Back, Kotter died, and I heard “Welcome Back” by John Sebastian on the radio (in tribute to the aforementioned Hegyes). So now seemed the time. You know what? This is a pretty good book for such as it is. I’ve read books based on hourlong dramas before (Adam-12 here and here, Murder, She Wrote here), but this might be the first book I’ve read based on a half hour sitcom. And it was pretty witty and true to the characters. While I didn’t laugh out loud at any of it, I was amused enough to want to watch some of the old programs and maybe come up with other books in the series. As with any 70s paperback, the order forms in the back are always a treat. 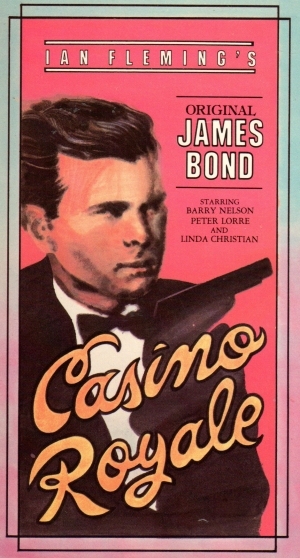 The books available in paperback immediately preceding this book include several in the Get Smart book series and other pulp. I’ve never, to my recollection, seen a book where the order forms are clipped, indicating someone has actually used them to order books. I wonder if the sort of people who did that were the sort of people to throw books out when they were done, or whether there never really was that sort of people. UPDATE: How soon they forget. While cataloging this book, I learned I’d already read something by this author. That would be a Happy Days book, Ready to Go Steady, which I read in 2009. This book is far better than that Happy Days book.